When it comes to National Football League playoffs, the only thing history’s proven is that nothing is a certainty. Just look at last weekend’s wild-card round — the Indianapolis Colts rallied from 28 points late in the game to defeat the Kansas City Chiefs, the Cincinnati Bengals continued a streak of playoff losses second to none, and some of the coldest football ever was played. The question isn’t what will happen next in this weekend’s divisional round, but what can happen next. With eight teams left, there’s a plethora of talent that’ll be showcased on Saturday and Sunday. The usual suspects — Peyton Manning, Tom Brady, Cam Newton, Frank Gore — are a given. But every year, there seems to be a small group of unheralded players who step up when it matters most. They might not be star quarterbacks, but it’s these players who turn a good team into a great one. Here are five lesser-known players to watch for this weekend. This list is not ranked in any order. This 21-year-old rookie receiver has proved to be much more than expected this season. Drafted during the third round of last year’s NFL draft, Allen was considered a quality player but not an elite one. Coming into the season, San Diego was thin at receiver. 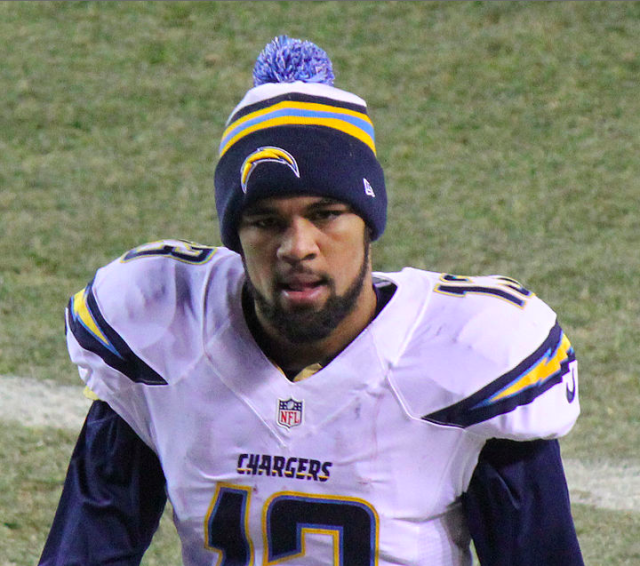 It seemed inevitable that someone was going to fill the void left by the departure of Vincent Jackson, and Allen proved to be Philip Rivers’ new go-to guy. Besides veteran tight end Antonio Gates, Allen had the most targets (105) and receptions (71) on the team, and his 1,046 receiving yards led even Gates. What he lacked in experience, he easily made up for with his ability to stretch the field and receive the deep ball from Rivers. The Denver Broncos secondary, the Chargers’ upcoming opponent, has been anything but impressive this season. In what could be a potential shootout, look for Rivers to air it out early and often with Allen on the receiving end. In football, it’s easy to put a statistical value on an offensive player: touchdowns, yards, receptions, etc. But for a defensive player, it’s the opposite. 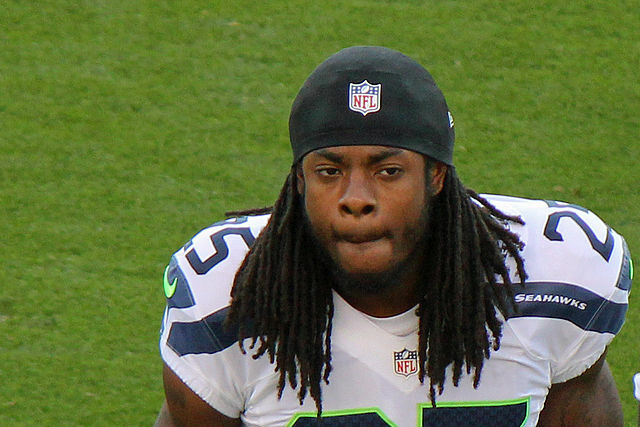 Sherman, who was named All-Pro a week ago, is known to be one of the league’s best shutdown corners. Week in and week out, he single-handedly goes up against some of the league’s best receivers. Proving his elite status as a corner, Sherman led the entire NFL this season with eight interceptions, two more than the next closest player. In a normal matchup, Sherman will lock in with the opposing team’s top receiver. Seattle faces the New Orleans Saints, though. The Saints’ offense consists mostly of passing, evidenced by quarterback Drew Brees’ 5,162 yards on the year. The difficulty in defending the Saints’ aerial attack stems from Brees’ ability to spread the ball. Whether it’s tight end Jimmy Graham, wide receiver Marques Colston, or even running back Darren Sproles, it’s tough to cover everybody. Seattle had one of the most efficient defenses in the NFL this season, and they’ll need every bit of that efficiency to defeat the Saints. There’s no doubt that Sherman will be a critical factor in the defensive effort — it’s more a matter of how much his impact can change the game. He can’t be everywhere on the field to stop this high-flying Saints offense, but his presence will be noticed. Weddle, the second defensive player on this list, has made a name for himself despite the Chargers’ inconsistent defense this season. His 115 tackles on the year led the team by more than 30, and he also finished the year with a sack, two interceptions, and two fumble recoveries. 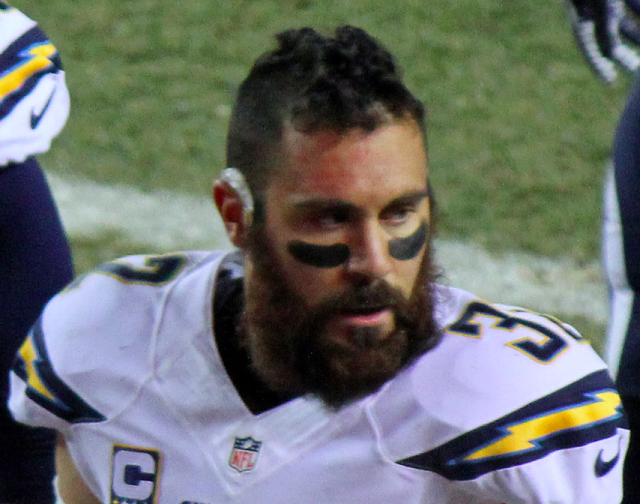 Weddle is by no means a household name, but his ability to impact a game will be critical for San Diego’s potential success against the Denver Broncos. As a safety, Weddle plays all over the field. Whether he’s lining up in the box for a blitz, dropping back into zone coverage, or lining up on single coverage, he’s constantly making plays. With a team like Denver, players like Weddle help limit quarterback Peyton Manning’s ability to slice up the defense. Weddle has intangible skills and instincts that only elite defensive players have, and it’s these same skills that give him a knack for finding the ball. Tom Brady is easily one of the best quarterbacks in the NFL, and he’s been elite since the first season he took over, in 2001. Brady has exceptional ability, but he’s also always had a string of quality wide receivers to throw the ball to. This year was different: It was Brady and an offense full of unknown players. He wasn’t throwing to the likes of Randy Moss or Wes Welker. He didn’t even have his favorite red-zone target, Rob Gronkowski, for the majority of the season. Nope. He had career backup Danny Amendola — who was also injured for some of the season — and he had Edelman, a fifth-year player whose best season came in 2009, with 359 receiving yards. Edelman and Brady hit it off from the get-go, even if it was because of the need to win and not by choice. 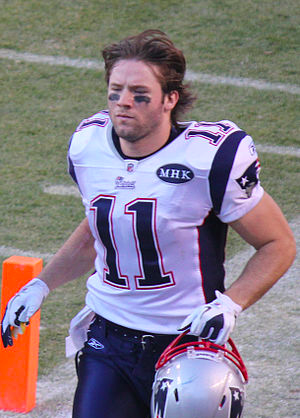 Edelman finished the season leading the Patriots with 105 receptions and 1,056 receiving yards. The next closest was Amendola, with 54 and 633, respectively. Edelman was thrust into the spotlight and performed. Now, the thing about great quarterbacks like Brady is they make players around them look better. While this may be partly true in Edelman’s case, he’s proved that this season isn’t a mere fluke. Edelman has elite potential — though maybe not elite size or speed — and when the game is on the line this Saturday, rest assured that Brady won’t hesitate to give the ball to him. If there’s one offensive position that gets the least credit, it has to be the fullback — heck, some teams don’t even use one. The fullback is the last line of defense: He takes on everyone from the crazed defensive lineman to the blitzing cornerback. Include these attributes with Tolbert’s offensive production this season, and you’ve got a potential MVP for Carolina. Keep in mind that Carolina boasts running backs DeAngelo Williams, Jonathan Stewart, and running quarterback Cam Newton. There aren’t a lot of carries to go around for everybody. But Tolbert finished the year with 361 rushing yards, 184 receiving yards, and seven touchdowns. This fullback — though more of a blocking running back — did it all. His drive-saving blocks and short-yardage expertise didn’t go unnoticed as the year progressed, and those skills be equally important if the Panthers are to knock off the San Francisco 49ers. His value appears on the stat line but also everywhere else. 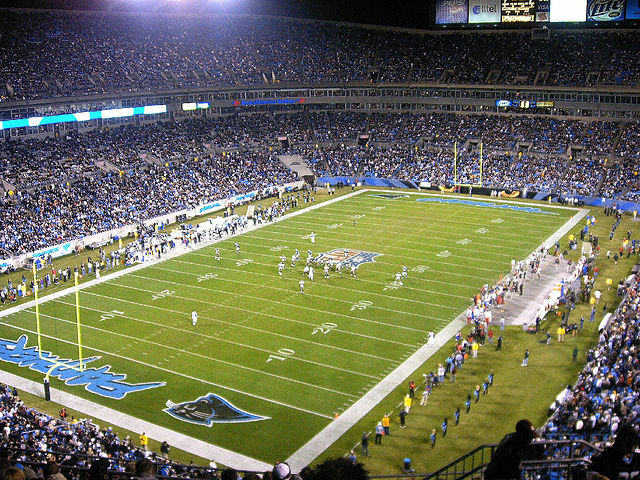 DirecTV: Is NFL Sunday Ticket Worth the Roster Space?